CluchCon 2015 is organized by CEVO (a global eSports company). This is an offline tournament. The tournament will take place in Crown Plaza Hotel & Convention Centre, Denver, Colorado, USA. There will be 16 teams participating in this tournament. In the group stage there will be 8 teams in each group and match format is single elimination BO3. This Counter Strike tournament will start on 30th January 2015 and end on 1st February 2015. Not to mention, UBINITED and Karma is an all female Counter-Strike Professional teams. UBINITED originally started as GX3 (Girls Got Game) in 2002. They have a pretty much good match history, which looks very strong. 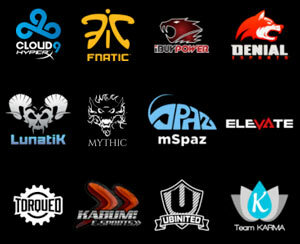 However, Fnatic, Cloud9, iBUYPOWER, KaBuM and LunatiK are also well known as highly successful Counter-Strike team. Now its time to see which team will take the 1st position of CluchCon2015.